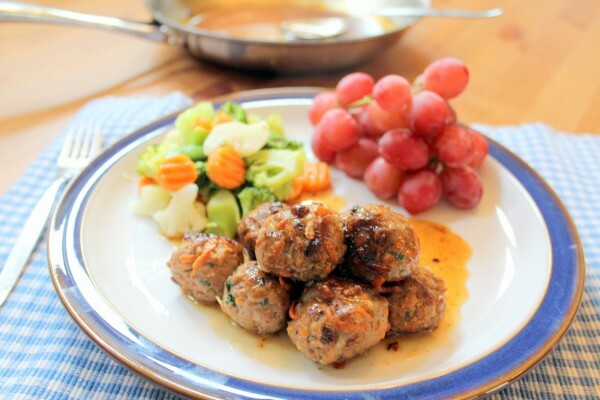 “Everyone loves meatballs and this reduction sauce! 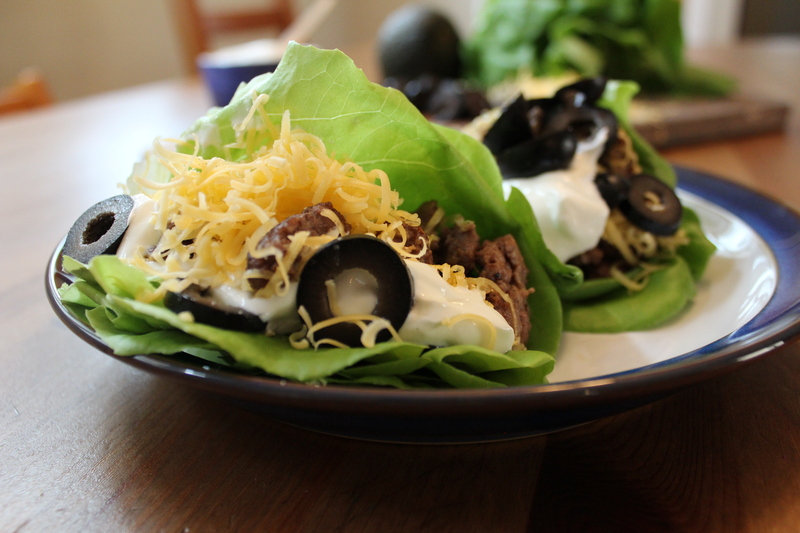 If I feel like my kids haven’t been eating enough protein lately, this is what I always feed them.” I explained to my friend as her family joined us for dinner one night. Well, they proved me wrong, and their kids did not like the sauce ;) But, really, most children do! My kids absolutely adore it, and all the adults that we’ve had visit us love it as well. 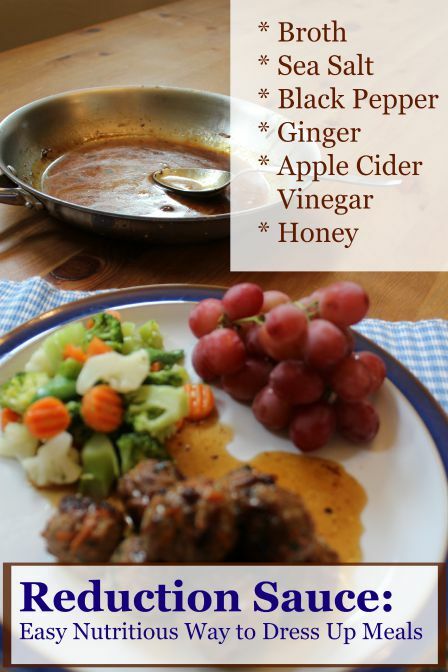 What I love about this sauce is that it uses the same pan that we pan-fried the meatballs in (recipe here) and is ready in a few minutes – AND it’s full of health-benefiting ingredients like bone broth, apple cider vinegar, and ginger. Keep the shallow pan used to pan-fry meat over medium heat and add apple cider vinegar and water or 1/4 cup of the bone broth. Use a fork or whisk to whisk deglaze the pan, lifting up all the flavorful burnt on bits. 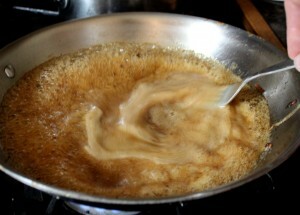 Add the broth cubes or remainder of the broth, sea salt, seasonings, and honey and reduce heat to a simmer. Simmer the sauce while whisking occasionally for 10 minutes, or until reduced by half. Honey should not be heated. Eating honey that has been heated has deleterious effects on the body.